As a registered dietitian nutritionist and trusted advisor, we invite you to join the movement to help identify nutritious breakfast solutions for every type of morning. 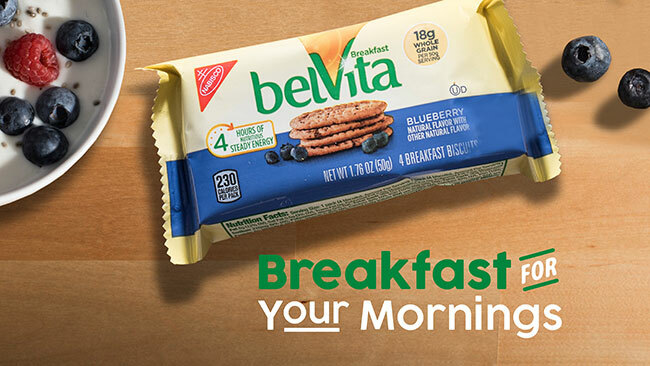 Please use #MyMorningMoment with #belVita so we can follow along in your journey as you inspire delicious—and nutritious—morning solutions. a belVita morning survival kit! *Please share your thoughts by completing this second short survey. If you complete both surveys—one before and one following Today’s Dietitian symposium, you will be eligible to win a belVita morning survival kit.